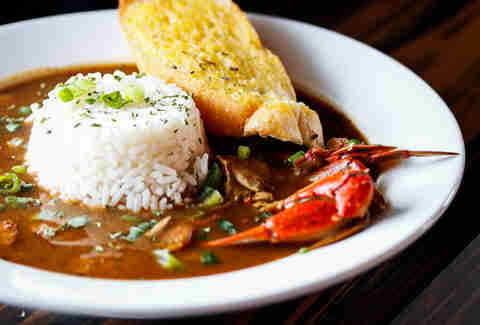 It was a year of upheaval for New Orleans restaurants. Dozens have shuttered, including beloved institutions like Feelings Cafe and Pizza NOLA. But what’s emerged from the rubble has been a smattering of establishments bringing much-desired cuisines to the Crescent City, including vegan soul food, Latin American fare, and even more from beloved chefs like Alon Shaya and Nina Compton. All of these and more are featured on this list of the best New Orleans restaurants of that opened this year. Dig in. 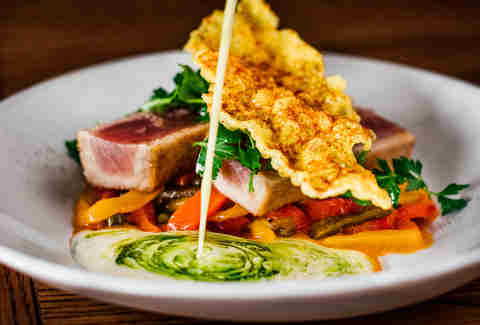 Since its March 2018 opening, Bywater American Bistro has graced numerous best-of lists (including Thrillist's own!) with its bold takes on spaghetti pomodoro and roasted chicken. The restaurant is Top Chef alum and recent James Beard award-winner Nina Compton’s second in the city, with Compton, husband Larry Miller and former Compère Lapin sous chef Levi Raines running the show. Raines helms BAB’s blue-tiled open kitchen, dreaming up prixe fixe menus for special events and pushing the boundaries of brunch with runaway hits like the rich, smooth chicken liver parfait and rice and egg dishes that borrow from the rich tapestry of Louisiana cuisine that Bywater American Bistro claims inspiration from. Avila is a welcome addition to the Starlight bar, nestled off Bourbon in a nearly 240 year old townhouse that retains old school elements like pocket doors and chandeliers suspended from rosettes. Owned by husband-wife duo and native Venezuelans Harold and Monica Angola, it follows the trend of pop-ups getting a proper glow up with brick and mortar real estate at least five nights a week. In Avila’s case, the kitchen stays open Tuesday through Sunday, dishing out arepas and appetizers like tequeños and empanadas with late night service that runs until 4am on Fridays. Expect a possible menu expansion, as Avila’s begun branching out and offering specials like patacón -- hearty shredded beef sandwiches that swap bread for fried plantains. With platters, poboys, and buckets of seafood, there’s something for everyone at the former Louisiana Music Exchange location that Boil now occupies. Jacques-Imo’s muralist Rain Webb sets the scene in vibrant purples and oranges celebrating owner Hieu Doan’s Louisiana and Vietnamese roots. Doan, who also owns Namese, has a savvy way of preparing the crawfish, crab, shrimp, mussels, and clams on offer year-round: steamed, boiled, then tossed in a mixture of your choice of spices, ranging from a rich garlic butter to the citrusy-cilantro Asian style. Oysters receive a similar treatment, and guests can choose just how spicy they want their meal. Almost every dish at Luvi is a reflection of former Sake cafe head chef Hao Gong’s career path, with subtle nods to his family. Named for his two children, Luvi celebrates the Shanghai flavors of Hao’s childhood while offering an impressive raw bar that showcases the over two decades Hao spent cooking Japanese cuisine. Mama’s dumplings melt in your mouth while the spicy dan dan noodles come in a light chicken broth perfectly balanced by ghost chili oil. Hao’s wife, Jennifer Wade, keeps the aesthetics in mind with her transformation of the double shotgun space, picking out everything from the graphic wallpaper and teal paint to the floral-patterned chairs and cherry wood bar. Catalino’s hit its stride out the gate, with customers readily lining up for elote loco and carnitas -- always with a side of fresh corn tortillas -- as soon as it opened in late July 2018. The restaurant has since expanded its fare and expanded its hours, celebrating its first taco Tuesday in November. Run by husband and wife Addie and Hugo Vasquez, Catalino’s riffs on grab-and-go street food and Mayan fusion that includes hearty stews featuring local produce. The jocon is a particular standout, pairing fried chicken with mirliton and a smattering of greens. Catalino’s is BYOB and ready to cater to any liquor you may bring, with pitchers of fresh virgin mojitos or margaritas on offer. Basque cuisine gets its due in the Marigny thanks to musician Bruce McDaniel and Arabella Casa di Pasta owner Mowgli Pierlas, who teamed up to open Estaño over the summer. Situated just one door from Arabella, the shotgun-style space stretches from counter seating in the front, to a small lounge in the back, followed by a cozy courtyard. 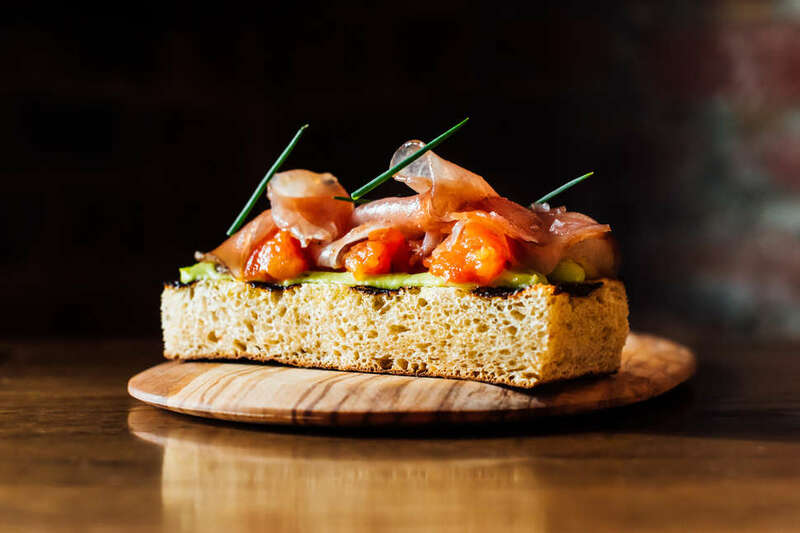 Come for the café con leche, stay for the pintxos that change with seasons but always come with fresh-baked homemade crostinis and conservas shipped straight from Spain. Besides lunch and dinner, Estaño offers weekend brunch dishes that run a reasonable $5-$10 and include its signature truffled egg toast. An open kitchen with wrap-around counter seating greets Gris-Gris on the first floor, while there’s a standard dining room and bar upstairs along with outdoor balcony seating -- all designed by the building’s previous tenant, Square Root. What has changed in in the Lower Garden District space is the cuisine, care of executive chef Eric Cook, who finally got his hands on his own restaurant after stints at NOLA gems like Commander’s Palace, Bourbon House, and Tommy’s Cuisine. 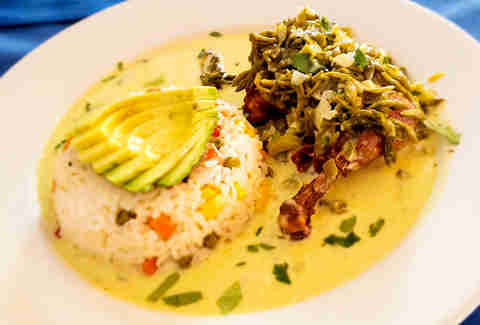 Cook includes his own mother’s chicken and dumplings on the menu, along with decadent stuffed crab and sugarcane seared duck breast. With cocktails dreamed up by fellow Commander’s alum Ferrel Dugas, Gris-Gris feels at once timeless and trendy. Lauded bartenders Chris Hannah and Nick Detrich bring the wisdom of Cuban bartending legend (and drink-slinger to Ernest Hemingway himself) Carbajo Aguiar to Manolito. 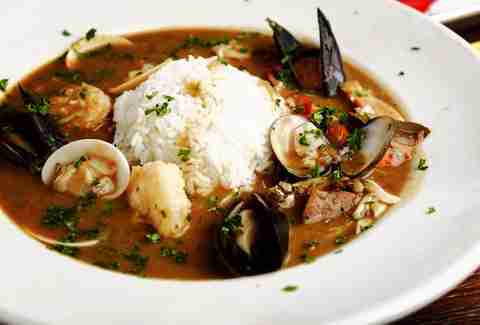 The cozy French Quarter spot boasts papa dobles and daiquiris thrown together in the traditional style, though just as dazzling is chef Cesar Nuñez’s short and sweet menu. The former Coquette chef de cuisine delivers hit after hit, including fresh shrimp ceviche and ropa vieja arepas. Nuñez recently dished out croquetas as part of a special Tin Roof beer pairing event -- surely not Manolito’s last -- shrinking shrimp and grits into breaded, bite-sized treats. The open, airy decor of Morrow’s may make you wonder if you’re hip enough to enter, until you gaze up at the cursive neon sign behind the bar that reads “The Morrow of the story…” That kind of dad joke humor reminds you it’s a family affair at Morrow: Owner and event promoter Larry Morrow and his mother, chef Lenora Chong, run the restaurant. Chong, who previously helmed Lenora’s Grill in Pontchartrain Park, brings classics like file gumbo and BBQ shrimp to the menu, along with Korean fare. The bibimbap allows its fresh ingredients to shine, while sesame ginger wings pay homage to Korea’s love affair with huraideu-chikin. Plenty of cities can boast of vegan soul food restaurants but there’s nothing quite like Sweet Soulfood’s New Orleans spin on the classics. And demand is certainly high for it: the cafeteria-style restaurant ran out of food on its April 2018 opening day. Sweet Soulfood follows the city’s sacred food calendar with red beans and rice served up Mondays and fried catfish swapped out for crispy chickpea cakes on Fridays. Portions are as large as they are flavorful, though the price is anything but hefty. Vegan ice cream and cookies round out a substantial menu that includes lighter fare like jerk cauliflower wraps and green goddess salads. After a year of pop-ups, Trilly found a permanent home in Mid-City with a brick and mortar building attached to neighborhood watering hole Banks Street Bar. 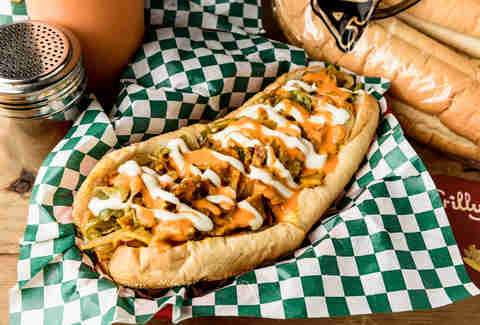 Owner Chris Beegle stays true to the cheesesteak’s roots, using Amoroso rolls shipped from Philadelphia as a base, but takes the added step of making his own cheese wiz and offering a vegan answer to every meat-heavy option on the menu. The vegan buffalo swaps chicken for seitan, while the Vegan Far East Philly includes a vegan cream cheese to temper the sweetness of its ginger soy sauce-soaked seitan. Desserts and sides also get the animal product-free treatment. The vegan poutine is a particular standout and may be even better than its original iteration. Saba marks award-winning chef Alon Shaya’s first restaurant with his Pomegranate Hospitality group, and reveals a conscientious approach from the top down. Employees have two consecutive days off (Monday and Tuesday), stand-up meetings that include a daily shift meal, and health benefits -- a rarity in the service industry. 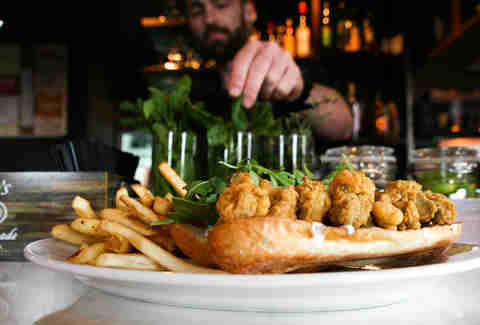 It’s this approach that makes for a family atmosphere, as is the menu, which encourages sharing. Pita is baked fresh to sop up sizzling skillets of shakshuka and dip into blue crab hummus. Cocktails lean on Middle Eastern spices like turmeric and cardamom. Save room for dessert, because the melty banana-coconut halvah is heavenly. April Siese is a contributor to Thrillist.